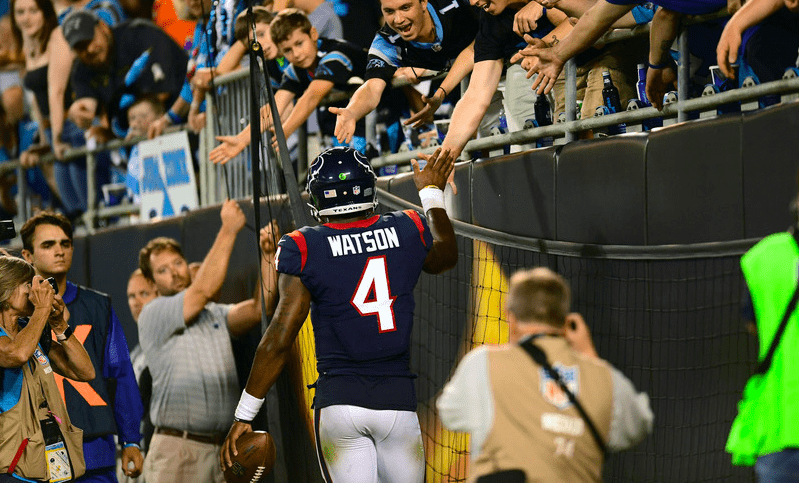 Backup quarterbacks are all the rage in the NFL preseason, and the first night of Week 2 was no exception. Thursday night saw six different teams take the field in advance of the 2018 season, and just among those six, at least four second-string signal-callers had performances to remember. 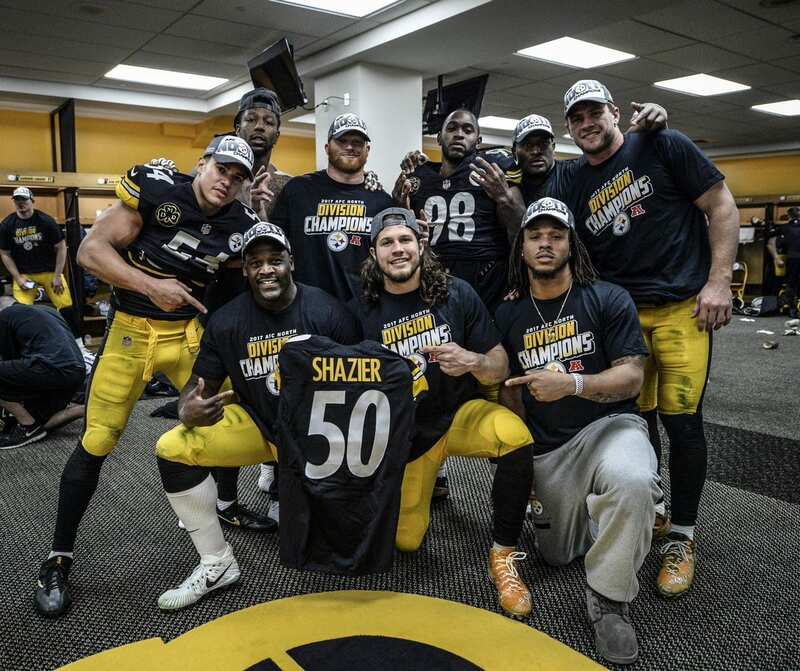 They are the Philadelphia Eagles’ Nate Sudfeld, the New York Jets’ Teddy Bridgewater, the Washington Redskins’ Colt McCoy and the Pittsburgh Steelers’ Joshua Dobbs. 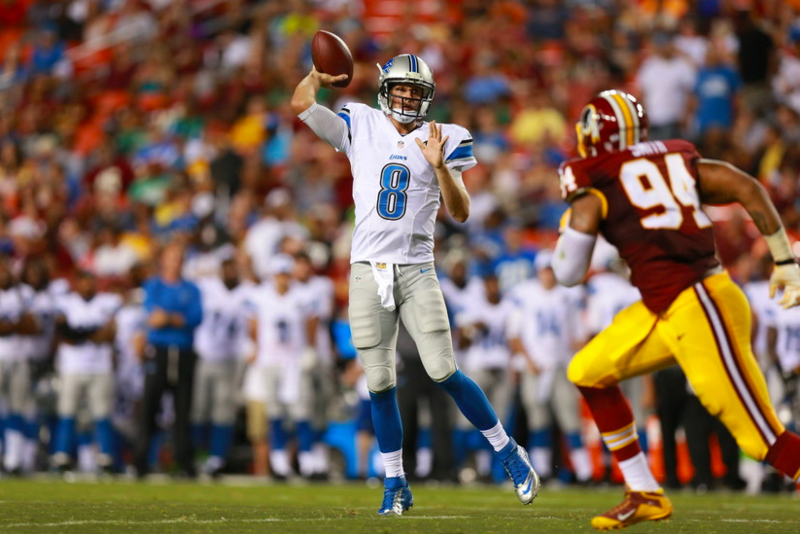 If not one of those quarterbacks saw a snap in the regular season, it wouldn’t be a surprise. It wouldn’t even necessarily be bad for their respective teams. But each of them delivered in different ways Thursday, some vying for roster security and others pushing for a possible starting job. Sudfeld and Bridgewater may have been the best of them all. The former, who’s technically No. 3 on the Eagles’ depth chart behind Carson Wentz and Nick Foles, couldn’t lead Philadelphia over the New England Patriots. But he threw for 312 yards and three touchdowns to become the NFL’s preseason leader in passing yards, and his poise in the pocket should have the Eagles confident about his prospects as a No. 2 down the road. NATE SUDFELD FROM HIS OWN END ZONE. Bridgewater, meanwhile, is battling first-round draft pick Sam Darnold and veteran Josh McCown for No. 1 duties in New York, and went 10-of-15 for 127 yards and a touchdown. He also threw a pick in a loss to Washington, but his movement and accuracy were deemed “outstanding” as he looks to regain his early-career form. Always interesting how opinions can change after you study the tape vs watching on TV. I thought Teddy Bridgewater played well last night while watching live. I was wrong. He played OUTSTANDING. Pocket movement, vision, poise, ball placement…all exceptional. 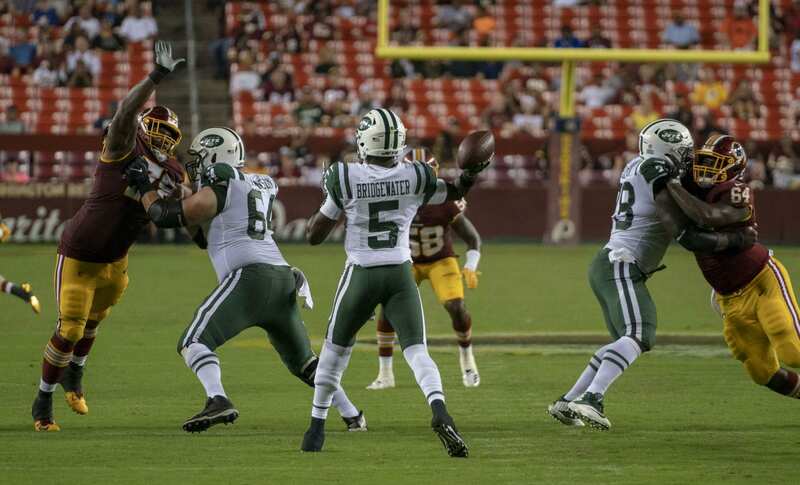 In Bridgewater’s game, McCoy also touted efficiency running Washington’s offense in relief of Alex Smith. A career No. 2 who began with the Cleveland Browns, he finished 12-of-16 for 140 yards. Dobbs, meanwhile, relieved rookie Mason Rudolph in the Steelers’ blowout loss to the Green Bay Packers. While first-year receiver James Washington bailed him out on some throws, the second-year passer still fired two touchdowns in a 34-point performance for Pittsburgh, finishing with 192 yards through the air. 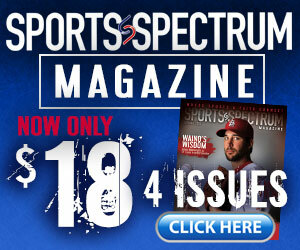 All four quarterbacks are also outspoken about their Christian faith. 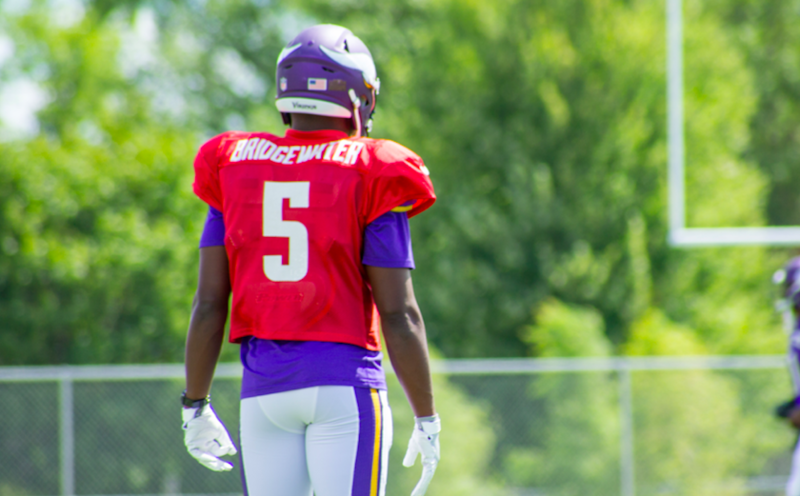 Bridgewater has touted Jeremiah 29:11 for his journey back from a 2016 knee injury that effectively ended his Minnesota Vikings career. McCoy has long listed his faith as the top priority of his life, above football and family. Sudfeld has showcased humility in a QB room that’s known as much for its talent as its Christian beliefs. And Dobbs says he lives by the Bible, specifically Joshua 1:9.